The Rebel Sweetheart. 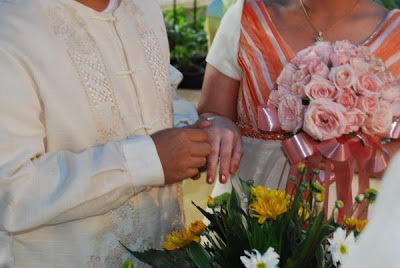 : Unconditional Love | My Ingat na Damang Dama Story. Unconditional Love | My Ingat na Damang Dama Story. Today, the husband and I are celebrating two milestones - our tenth anniversary as a couple, and our fifth anniversary as husband and wife. And if there's one person in the world who loves me unconditionally and takes care of me so preciously, it's got to be him. He may not be the kind of guy who shows his affection by means of flowers and chocolates. Rather, he is the kind of man who would surprise you with your favorite sleeping pack or BB Cream, or go to great lengths just to satisfy his pregnant wife's craving for chicken cordon bleu, french fries with mayonnaise, and fried siomai in the middle of the night. He is the kind of husband who would take good care of you when you are sick - bring you to the doctor for check-ups (in the worst case stay by your side at the hospital, 24/7), get you the medicine you need (say, Salbutamol for my asthma, or Biogesic for my headache), and make sure you take them on time. Have someone in your life who takes care of you or has taken care of you the same way? Then share your Ingat na Damang Dama story with Biogesic for a chance to win some amazing prizes! Submit your story via the Facebook Fan Page App. Upload a Video of your story using the Facebook Fanpage App. Send in your story via email to biogesicph@gmail.com. Ten stories will be chosen and each entry will be given a cash prize of Php 5000. So what are you waiting for? Head over to Biogesic's social media pages and start sharing your Ingat na Damang Dama stories! Need inspiration? Watch John Lloyd's video below! Congrats on your 10th Year Anniversary. This is a good initiative for Biogesic. Congrats on your 10 th anniversary.wish the love between you two never become less. I'm glad that for other couples, things still work out. Congratulations. We also were married in June of 2008 and will be celebrating our 5 year anniversary as well. That's just so sweet! Stay happy forever. Awww.... congratulations on your anniversary! I too, am a lover of mayo and fries! Congratulations! I wish you more happiness to come and to celebrate many more happy anniversaries! Lucky you! Bihira ang asawang lalaki na ganyan. Damang dama ko talaga ang Biogesic once uminom ako, tanggal talaga sakit ng ulo ko. Nice contest sis.